The decision to admit a loved one to a nursing home is never easy, especially when you are trusting someone else to care for a family member as if it was you. Sadly, not all facilities are worthy of this trust. Stories abound of nursing home residents abused and neglected. Recently, for example, the Daytona Beach News Journal reported that a nursing home employee was charged with elder abuse after other employees saw her strike a patient several times on the back of his head. The patient was wheelchair-bound and suffered from severe dementia. Florida has laws and regulations in effect to govern the care and treatment of residents in nursing home facilities within the state. These rules set standards for facility staff, the physical plant and patients’ rights. Florida’s administrative rules on Minimum Standards for Nursing Homes require each facility to have a licensed physician serving as Medical Director. In addition, the rules establish requirements for nursing staff, including a Director of Nursing. This person cannot serve as Director of Nursing for more than one home and cannot also function as an administrator. A nursing home must have a qualified dietician on staff to serve as Director of Food Service. Comfortable sound levels, with radios and televisions being tuned to stations of the residents’ choice. 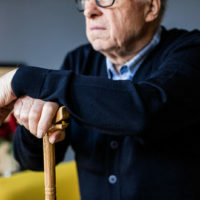 The skilled and dedicated nursing home neglect lawyers of Lesser, Lesser, Landy & Smith PLLC have years of experience speaking for those who cannot speak for themselves. We have handled cases involving all manners of abuse and neglect on behalf of victims and their families. If you think you might have a case of nursing home abuse or neglect, reach out to us to learn more about your rights and options. Call us in West Palm Beach today at 561-655-2028, or contact us online.